Sandy Boulevard in Portland, Oregon, is one of the city’s busiest corridors and a primary route between the city’s downtown and east side. 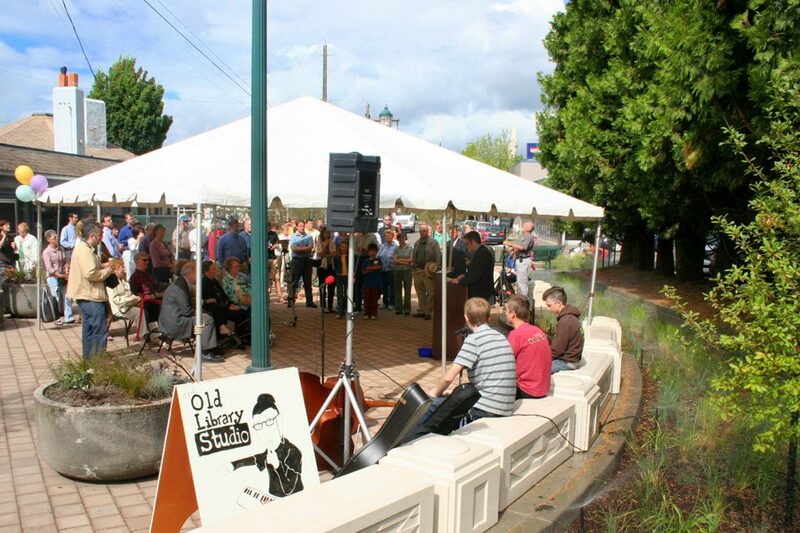 In 2005, Sandy Boulevard received significant upgrades when Portland's Bureau of Transportation received a federal grant to improve traffic and pedestrian safety along a 30-block stretch of the road. 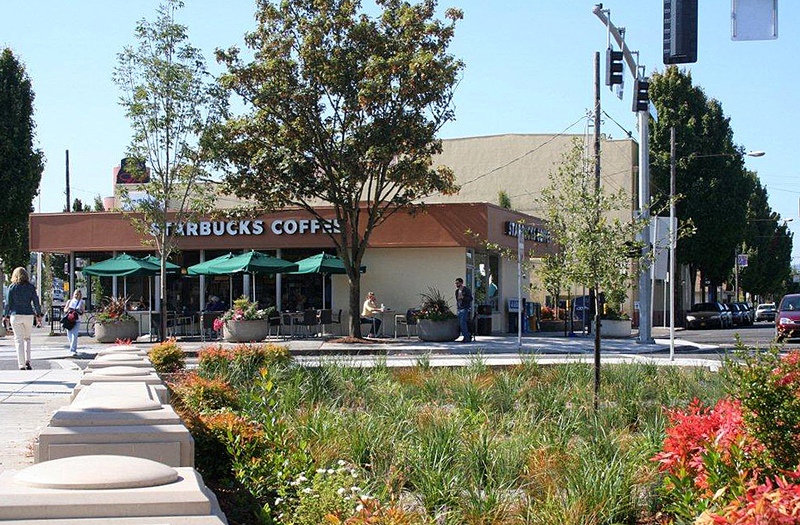 NNA Landscape Architecture assisted the engineering consultants with the development of a unique streetscape plan that showcases sustainable stormwater management while improving pedestrian access. 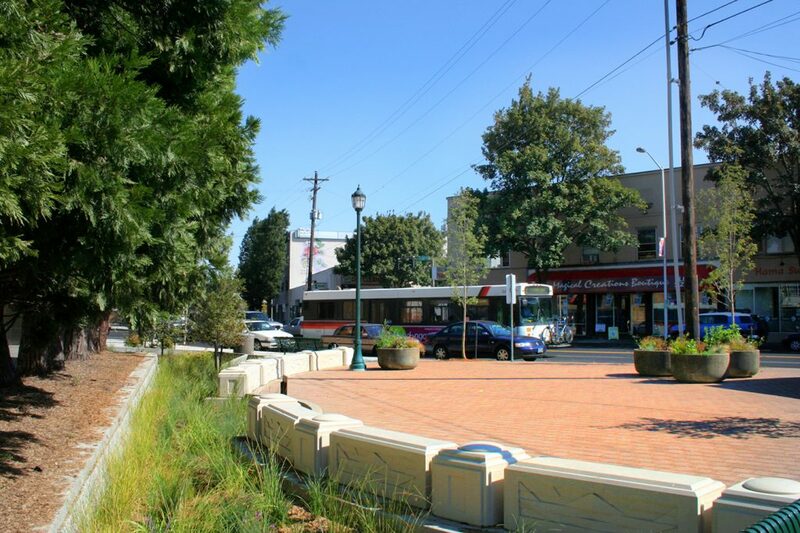 The team collaborated closely with the Portland Bureau of Transportation, the Portland Bureau of Environmental Services and the Portland Office of Urban Forestry to achieve multiple project goals. 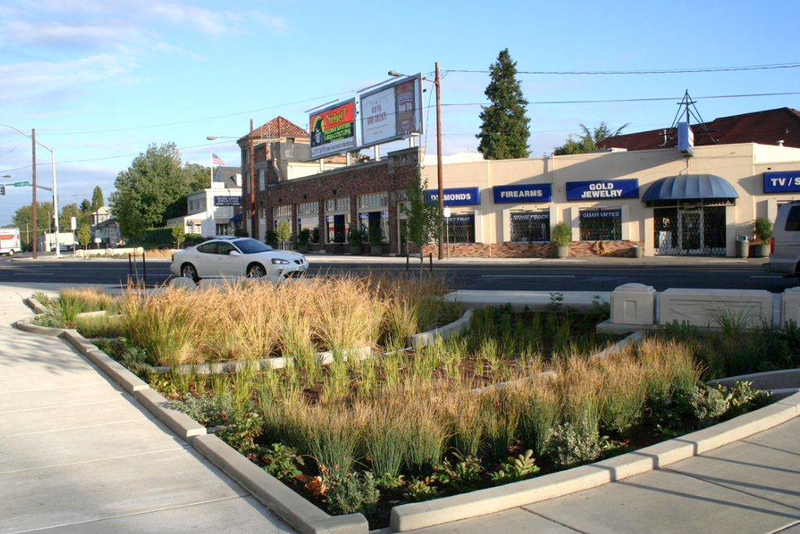 The streetscape incorporates four distinct urban rain gardens and one stormwater garden plaza along a 30-block stretch of NE Sandy Boulevard. 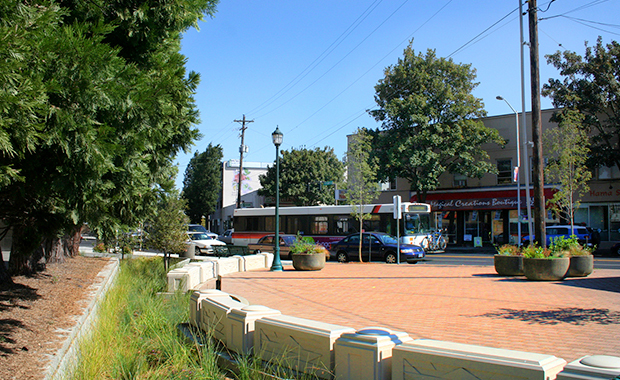 These features reduce the frequency of combined sewer overflows while providing a unique visual identity for the Sandy Boulevard business district. 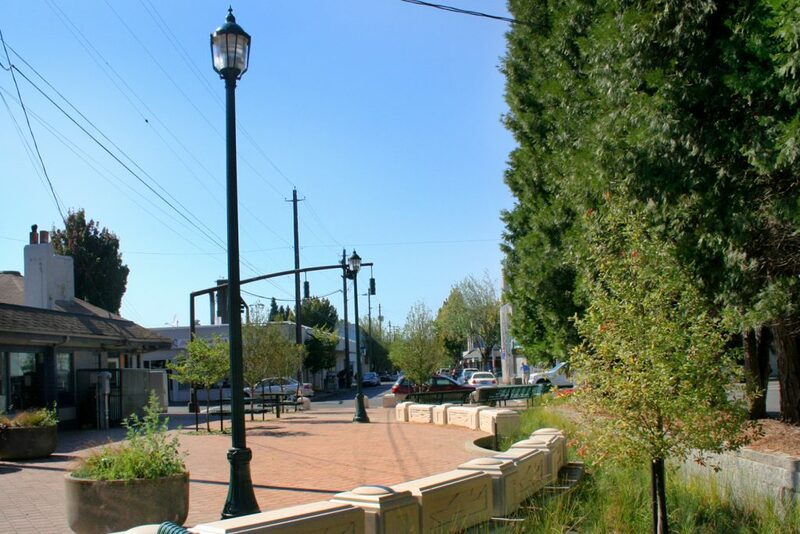 The design preserves the character of this historic business district, as the walls surrounding the rain gardens reflect the Art Deco architecture of the historic strip. The rain gardens and plazas occupy space in the intersection, increasing the predictability of vehicles and safety for pedestrians.